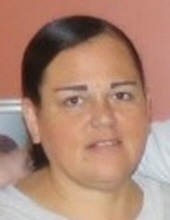 Kelly J. Burns, 53, of Cranston died Wednesday at Newport Hospital surrounded by her loving family. Born in Providence, she was the daughter of Raymond J. Burns of Florida and the late Carolyn R. (Pina) Burns. Ms. Burns was a social worker for the Rhode Island Department of Children, Youth and Families for fourteen years. She previously worked for Providence Center. Besides her father, she leaves a son, Zackary T. Burns of Coventry; two sisters, Terri A. Arruda and Stacey L. Silvestri both of Warwick; two grandchildren. Calling Hours will be Sunday 2-4 PM in the Frank P. Trainor & Sons Funeral Home, 982 Warwick Avenue, Warwick followed by a prayer service at 4 PM. Burial will be private. To send flowers or a remembrance gift to the family of Kelly J. Burns, please visit our Tribute Store. "Email Address" would like to share the life celebration of Kelly J. Burns. Click on the "link" to go to share a favorite memory or leave a condolence message for the family.